Works well with state EMSIRS exports. Very friendly support staff. Movement through charts is cumbersome. Data entry can also be cumbersome. Mobile solutions and additional packages too expensive for smaller agencies. Overall cost expensive for smaller agencies (even with fees assessed based on run volumes - consider smaller/different tiers?). Revisions of data tables not easy/not very user friendly. Look into other systems before settling on this one. Allows for central electronic repository for all EMS runs. Allows for cradle-to-grave usage (run generation to billing) solutions. 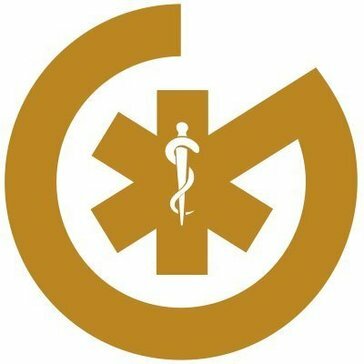 "Simple and effective ePCR system"
The user interface is clear and concise, administrative tools for active user management are intuitive and easy to navigate. Easy access from any computer, lots of drop down menus and options for defaults. The repetitive questions and inability to close a chart when an unknown error exists. It is customizable and allows sharing of information between agencies. Easier charting than manual and the ability for charts to be reviewed before submitted. AmigoDoc is a prescription software designed to be used as a prescription writer. Let your bank accounts grow healthy while offering best in class Ambulance services to your customers. With your Uber for Medical Transport, you can help your customers get immediate on demand medical assistance. This app is a 100% responsive and is made such that it can be used optimally across all platforms such as Android and iPhone. Our medical workforce software is used by over half of all consultants and junior doctors in the UK to manage planning, rotas, leave management, and clinic or theatre activity management. * We monitor all emsCharts reviews to prevent fraudulent reviews and keep review quality high. We do not post reviews by company employees or direct competitors. Validated reviews require the user to submit a screenshot of the product containing their user ID, in order to verify a user is an actual user of the product. Hi there! Are you looking to implement a solution like emsCharts?